Another Saturday morning another parkrun. This time after an early start I turned up at a muddy, drizzle spotted Ayr. Puddles and mud aplenty. 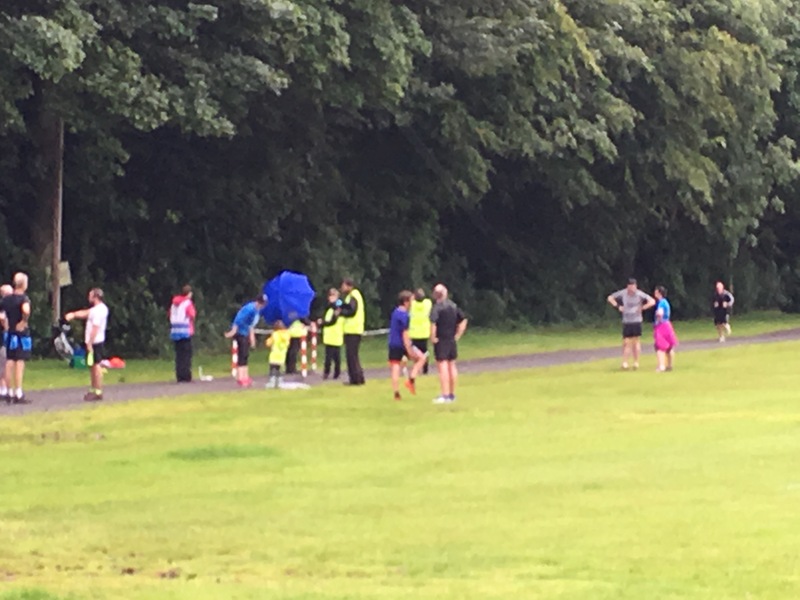 The Ayr event is held in the grounds of Rozelle House, a fine old building that houses art collections and those essential parkrun staples – the coffee room and toilets. The course is a one and a half looper and involves a circumnavigation of a duck filled pond, some undulations on a mostly trail like paths, the only tarmac being the start, beside the ducks and at the finish. I arrived in good time and had time to jog around and have a wee look before waiting with a small crowd, (47 braved the drizzle, this morning), on the 3, 2, 1 Go! I found the run quite tiring this morning, it probably didn’t help having a late evening bike and run session yesterday. Next Saturday’s triathlon in London looms large. It may have been drizzly but it was also warm and humid. I could have done without the hills, I was in a flat mood not an undulating one. As always the end comes in sight and back onto a solid surface for the run into the finish line. Another one done and with Ayr completed thats the south west of Scotland ticked as done until another opens their doors. 120th run in total with venue number 40, another 10 and that’s Scotland (as it stands) done, I wonder if I can tick them off by the year end. Thanks to the Ayr core team and their band of volunteers, well done. Here is the sweaty faced video.